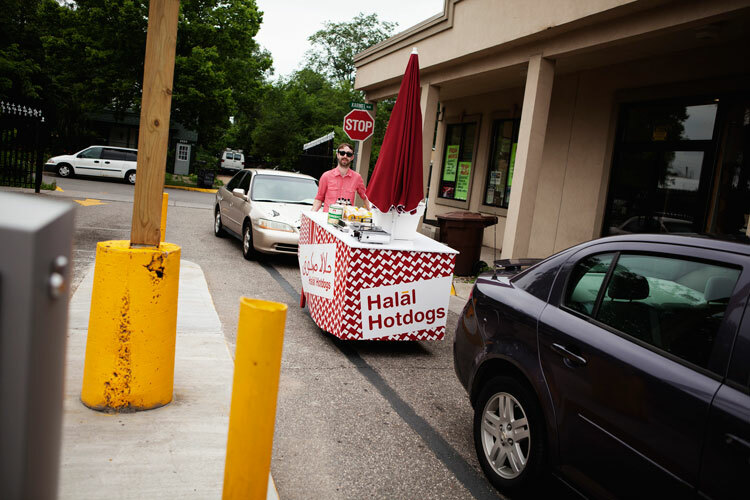 Halal Hotdogs was created around the premise that food could be a tool for community engagement and cultural acceptance. 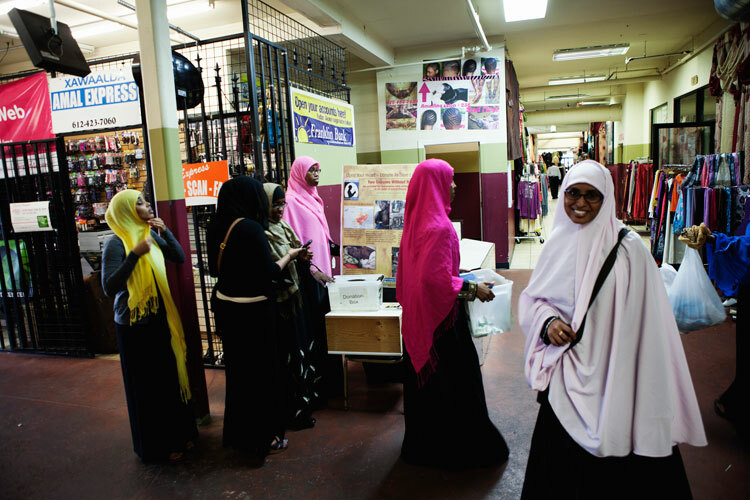 One of the most outward symbols of the Somali community is the word Halal which can be found on scores of shops in the Twin Cities. Halal is the practice of slaughtering meat according to Islamic Law. Although Halal meat is no different in practice than Kosher meat, the word Halal is frequently misunderstood by the Midwestern community. 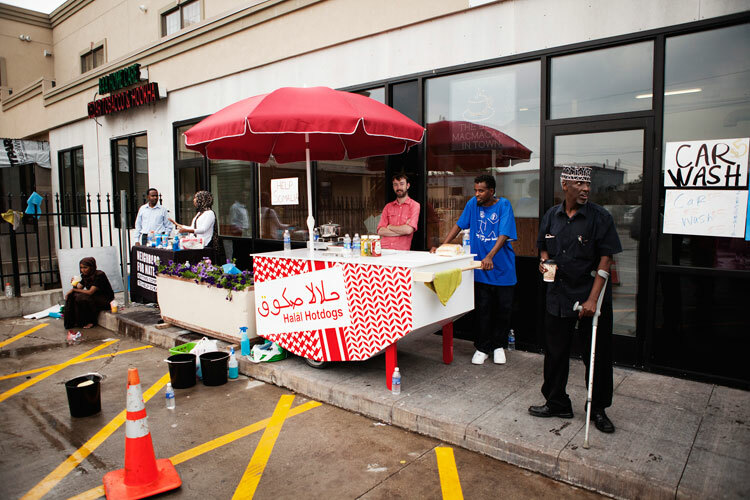 By combining the Halal practice with one of the most American foods, the hot dog, it’s aim was to act as an easily accessible tool to explain and celebrate Somali culture within the Midwest. 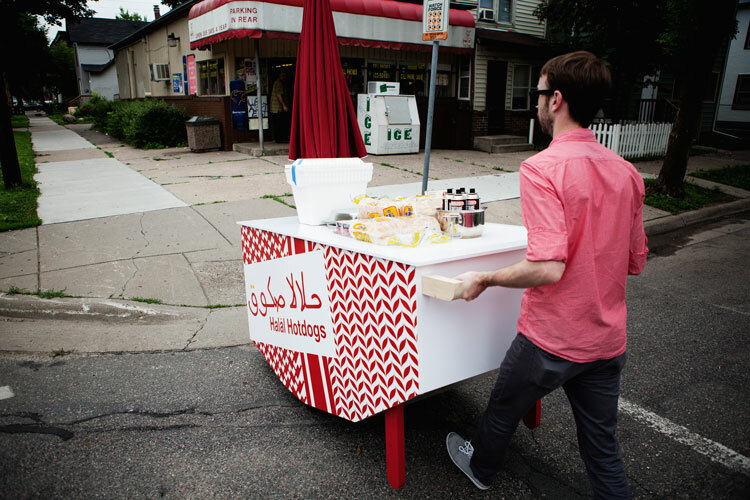 Currently, the Halal Hotdog cart functions in the community to celebrate and familiarize/introduce, as well as a vehicle for fundraising by pairing with such organizations as Neighbors for Nations. 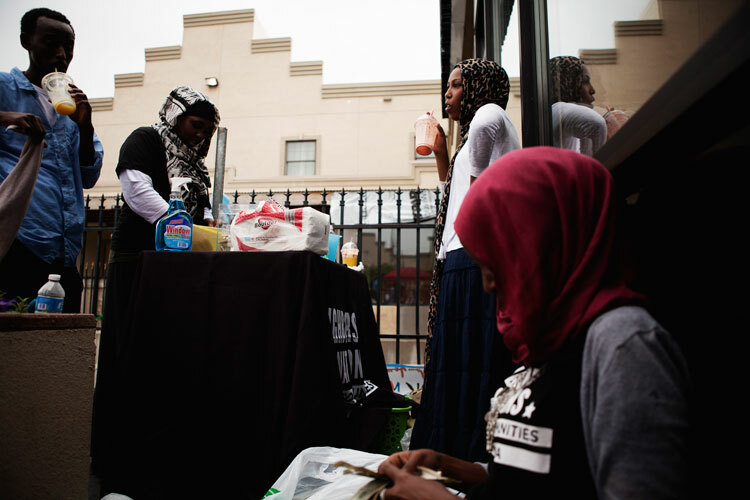 However at the suggestion of the Somali community, we began investigating using future iterations of the cart as a potential source of sustainable employment for newly arrived immigrant families regardless of ethnic or religious affiliation. Presently, one of our partners, Chef Mowliid Yussef, is in the process of purchasing a for-profit cart that will serve as the case study for how these will function in the future. Additionally, a 501(c) is being formed by Ahmed Hirsi of Students4Africa.com (website soon!) that will purchase and operate a non-profit cart that will provide on-the-job skills training for immigrants. Income after expenses will be made available to employees for interest-free loans should they wish to purchase their own carts. 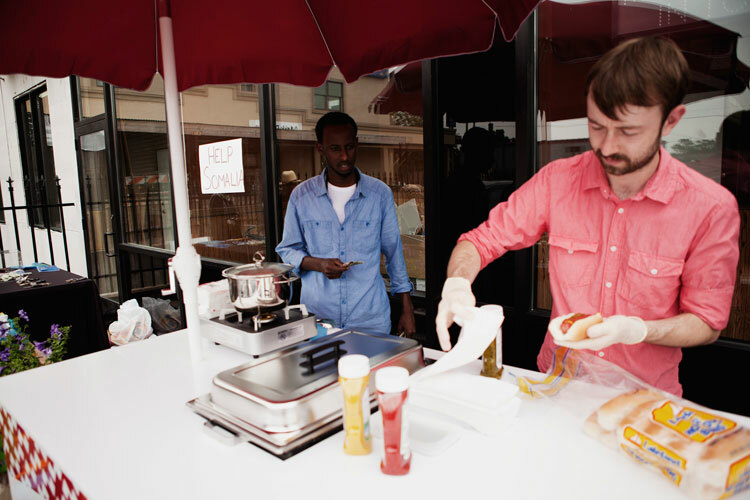 HALAL HOTDOGS CART FOR FAMINE FUNDRAISER. CAR WASH FOR FAMINE FUNDRAISER.